Don't Miss the Truly Spectacular Display of Men and Machines! The Honda Indy Toronto is an absolute cracker for enthusiastic motorsports fans as well as for those new to the spectacle. Friday July 12, 2013 is FREE FRIDAY at the circuit! All grandstands and paddocks will be open to the public free of charge. No ticket required. The three-day event is Toronto's top sporting attraction featuring several racing series including the most popular IZOD IndyCar series race. This world class auto racing event takes place in July each year on the streets of downtown Toronto near Exhibition Place and the beautiful Lake Ontario. The action-packed, high drama motorsports fiesta is a real good deal of entertainment for the buck. 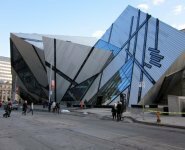 So if you are planning to visit Toronto in July, make this event as part of your vacation. You can enjoy the thrills of watching the fastest cars on the planet pounding the pavement and the world's top race drivers tackling the streets of Toronto. It's a great opportunity for anyone who has never seen open-wheel racing up close and personal. 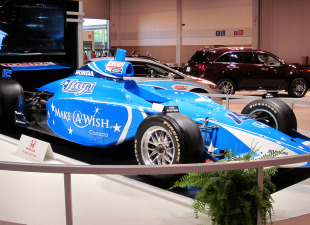 The Honda Indy Toronto has become a major event of Toronto summer scene and pulls thousands of avid followers each year. Its festival-like atmosphere features scores of off- track exhibits, attractions, live entertainment, celebrity sightings, interactive activities and games. 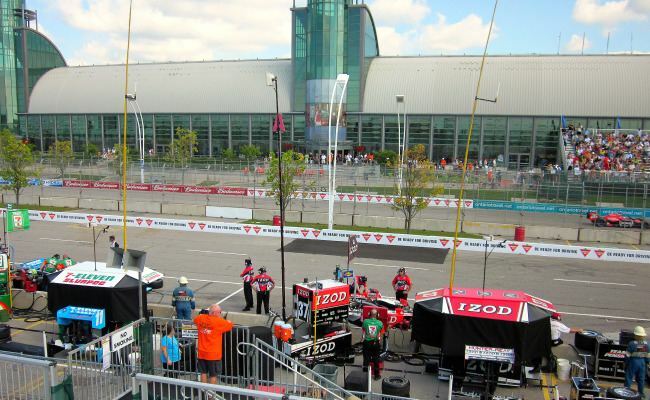 The Honda Indy Toronto features several fast and furious, exciting races. They include open-wheel IZOD IndyCar Series and Firestone Indy Lights Series, Acura Sports Car Challenge, Castrol Canadian touring Car Championship , SCCA Pro-Racing Trans-Am Series and NASCAR Canadian Tire Jump Start 100. In 2011 edition, Honda Indy Toronto started the Ferrari Challenge for the first time in the history of racing series and it is also part of 2012 events. Grab the chance to watch Ferraris in their natural environment - the race track. Undoubtedly, the IZOD IndyCar race is the most exciting in the lot for many fans. This incredible race features nearly two dozen of the world's fastest drivers with their 650-horsepower, v-8 open-wheel speed machines. The cars can test the amazing speeds of up to 370 kph (230 mph) during the race. Watch your favourite drivers making skilful and gusty moves in their pursuit to win the 240-km (150-mile) race on 2.824 kilometres (1.77 miles), 11-turn track at the Exhibition Place. Enjoy the excellent manoeuvres and daredevil passes as the drivers try to dominate the track. As per many experts, it's very crucial to avoid accidents and collisions (specially in the early stages) and have a big picture in mind in order to get podium finish in IZOD IndyCar Series at Toronto. In fact, you will agree that it's almost true for all motorsport races anywhere on the earth. The race features IndyCar stars Will Power, Dario Franchitti, Scott Dixon, Helio Castroneves, Ryan Hunter-Reay, Danica Patrick along with local favourite Paul Tracy and fellow Canadian Alex Tagliani. Firestone Indy Lights is the official development series of the Indy Racing League. The major objective of this racing series is to hone the skills of upcoming drivers. It's the premier ladder series for drivers striving to compete in the IZOD IndyCar Series. Firestone Indy Lights car are slightly shorter, lighter and hence a bit less powerful than those driven by IZOD IndyCar Series racers. Nevertheless, they generate enough power on the track to mesmerize you. To the delight of the thousands of fans of stock-car racing, the event marked the Toronto debut of the NASCAR Canadian Tire Series in the year 2010. As many as 30 drivers participated in the inaugural race with their 500-horsepower stock cars on the Toronto street course. It was an amazing race full of fun and excitement. Acura Sports Car Challenge - World Challenge features an eclectic mix of sports cars of three different classes - grand touring cars, grand touring sports vehicles and touring autos. The wide range of high-performance sports cars hit the track at the Exhibition Place for a 50-minute "all-out slugfest" sprint race. The Castrol Canadian Touring Car Championship presented by Toyo Tires features electrifying, head-to-head competition in two unique classes between Canada's best drivers. The excitement lies in the fact that drivers in both categories race at the same time for supremacy in their class. Oh boy! Really terrific and breathtaking racing! The Honda Indy Toronto starts with practice sessions followed by one or two qualifying races on Friday. Saturday hosts few more practice sessions, qualifying races and races. Sunday is the main race day which features several races including the Honda Indy Toronto IZOD IndyCar Race. 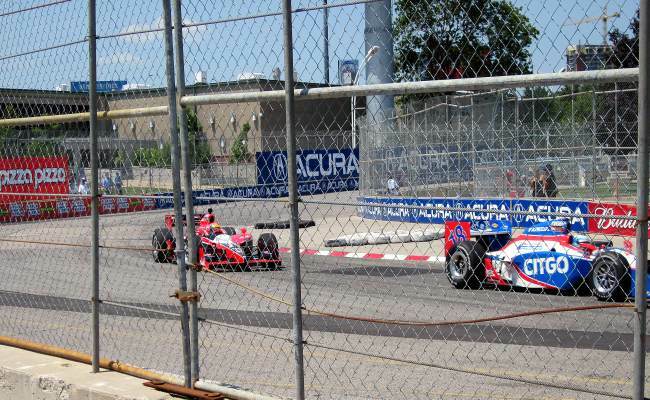 In addition to the open-wheel and stock-car racing series, the Honda Indy Toronto features several exhilarating and fun filled activities for all ages. You can enjoy the spectacular display of latest vehicles and a variety of race cars at the "Auto Expo" at Direct Energy Centre. You will find all kind of cars including coupe, sedan, SUV, Crossover and Van along with open-wheel race car. You can also buy some caps, t-shirts etc from the stores setup at the Direct Energy Centre. Also enjoy the racing simulators sponsored by Honda Canada. Want to enjoy the racing with glass of chilled beer? Budweiser Beer Gardens offer cosy sitting environment where you can sip beer and watch the racing action. 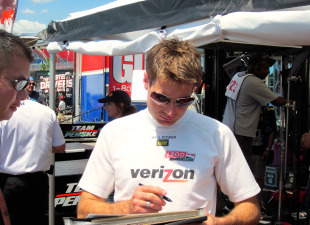 The IZOD IndyCar paddock is a perfect place to spend an hour or so. Here you will find the crew members and technical staff working on the cars to make them ready for driving. If you are lucky enough, you may get glimpse of star drivers and take their autographs. 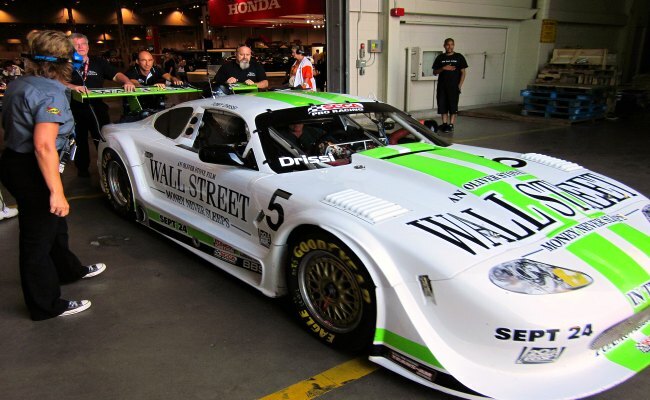 Enjoy the parade of racing car from paddock to the race track. Driver Autograph Session at the "Thunder Alley" is an excellent opportunity to meet your favourite drivers face-to-face. Collect the autographs and keep them as the life-long memory of the event. 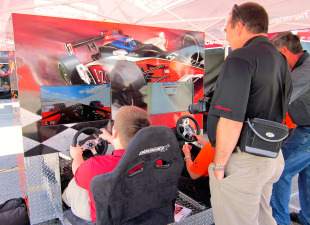 Get into the driving seat and feel the thrill of the IndyCar at the Honda Indy Simulator. You will realise how difficult it is to drive the IndyCar on race track when you will find it hard to handle the simulator. 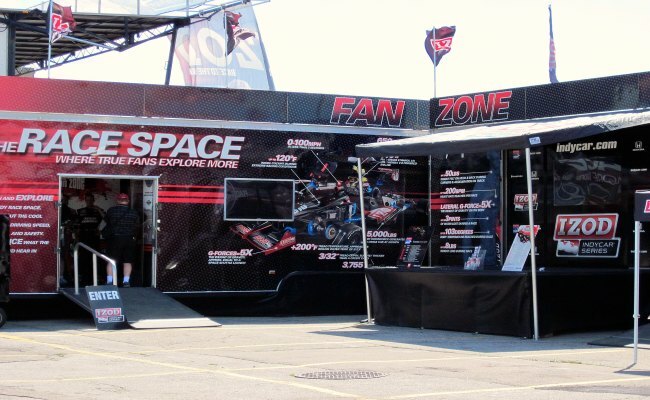 There are other several interactive games and exhibits including the "Indy Fan Zone" where you can explore more about the IndyCar, the "Schick Hydro Submarine" which features custom-designed Blast Room. 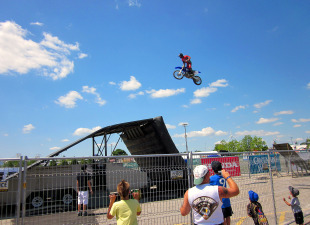 See the awe-inspiring motorbike stunts or enjoy live music at the IZOD Main Stage. On Saturday you can watch the Budweiser Pit Crew Girl Pageant where judges decide the No. 1 Pit Crew Girl, who presents the trophy to the winner of the IZOD IndyCar Series race on the podium Sunday. You can also buy souvenir and other stuff from the IZOD IndyCar Series official store. You will find lots of options for refreshments at the food and beverage stands. Enjoy hot and fresh pizza at the Pizza Pizza, hotdog, ice-cream and freshly squeezed lemonade. You can also take advantage of food stalls inside the Exhibition Place. All in all, it's a fantastic event with lots of excitement and energy and worth every penny. I urge to come out to races and enjoy the sight, smell and sound of the Honda Indy Toronto. Go for it - you won't be disappointed. Come prepared according to weather conditions. You can expect hot and humid weather in July. Here is a list of items to bring from my previous experience. Please note that no food and/or beverage (even water bottle) are allowed onto the race ground from outside. However, you can bring an empty water bottle and refill often on site for free. Price: Friday July 12, 2013 is FREE FRIDAY at the circuit! All grandstands and paddocks will be open to the public free of charge. No ticket required. 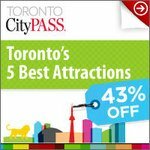 Take Go transit bus or train to Union Station. 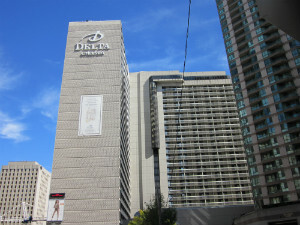 From Union Station, take the Lakeshore West train to Exhibition Go Station. From the South or West - Follow the QEW into Toronto, where it turns into the Gardiner Expressway. Exit onto Lake Shore Blvd., turn left at British Columbia Road and then turn left into West Parking. From the East - Take Highway 401 into Toronto and exit onto the Don Valley Parkway Southbound. As you approach Downtown, this will turn into the Gardiner Expressway. Exit at Spadina Ave. and merge onto Lake Shore Blvd. Turn right on Strachan Avenue, then left onto East Liberty Street, turn right onto Dufferin Street and finally take left into West Parking. From the North - Take Highway 400 into Toronto, exiting onto Highway 401 West. Continue until you reach Highway 427 southbound. Follow Highway 427 to downtown via the QEW/Gardiner Expressway. Exit onto Lake Shore Blvd., turn left at British Columbia Road and then turn left into West Parking. From Pearson International Airport - Take Highway 427 south. Follow Highway 427 to downtown via the QEW/Gardiner Expressway. Exit onto Lake Shore Blvd., turn left at British Columbia Road and then turn left into West Parking. Parking: On-site parking is only available with an event-issued parking pass and it's located at Medieval Times, at Dufferin Street and Saskatchewan Road (West Parking). Additional parking is available nearby at Ontario Place. Private lots, garages and on-street parking are also available. Please observe all posted parking regulations.